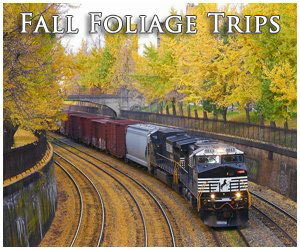 Passenger trains are steadily becoming a very popular means of transportation in the USA once again. Their history and "Golden Age" have been well documented and covered in other areas of the website so if you are interested in reading about the history of train travel you can find links about such here. However, this section of the website looks to generally cover your train travel options; so if you are looking to take a trip by train information regarding such can be found here, whether it might be a long distance ride aboard Amtrak or a commuter train in your local area. Lastly, this page will be updated as new train routes are added or others are discontinued. Please note! If you are interested in local streetcar or light-rail transit options please visit this page. In the days prior to federally-funded Amtrak and other state commuter rail agencies now found all across the country, the primary means of rail travel came by way of the private freight railroads for both intercity and local services. Included within these services was the classic interurban and streetcar systems, most of which went extinct by the World War II era. Interestingly, even these operations are making a comeback. In many ways the private services then were far superior than what you will find today with comfortable reclining-seat coaches, lounge services, and light-dining provided on some commuter trains while long-distance travel provided even great accommodations including full-service sleepers, five-star dining, club/parlor cars, domes for unparalleled scenic views, and much more. Unfortunately, this "Golden Age" of rail travel quietly slipped away as the public abandoned trains for the freedom of the open road and speed of the airliner. 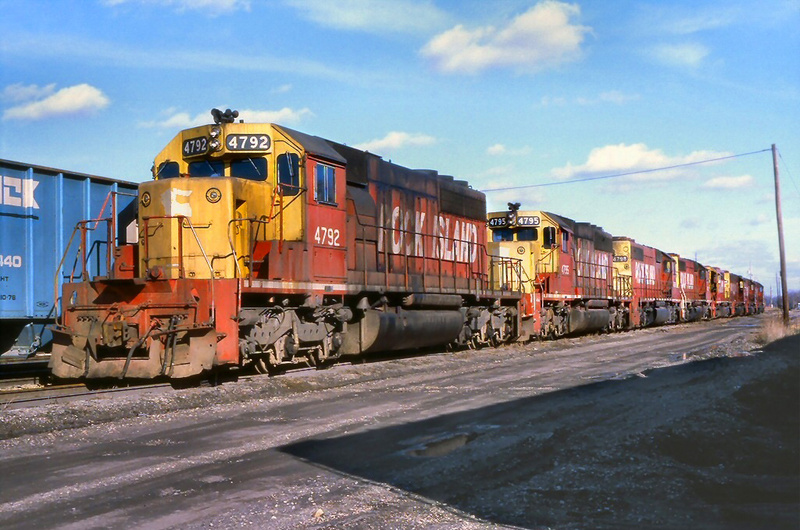 The era was also one of heavy regulation that largely dictated freight rates railroads could set and made abandoning unprofitable rail lines or discontinuing passenger trains virtually impossible. Not surprisingly, several large carriers were in bankruptcy by the 1960s causing the federal government to step in and relieve railroads of passenger service, creating Amtrak in the spring of 1971. To its credit the passenger road has done its best to maintain respectable service in spite of little Congressional funding year-after-year (usually slightly more than $1 billion annually, barely enough to pay the bills). Featured here is a brief overview of all Amtrak's current trains and services (please note that some overlap). They are broken down into railroad's regions. Alabama hosts Amtrak's Crescent, a long-distance train linking New York with New Orleans. 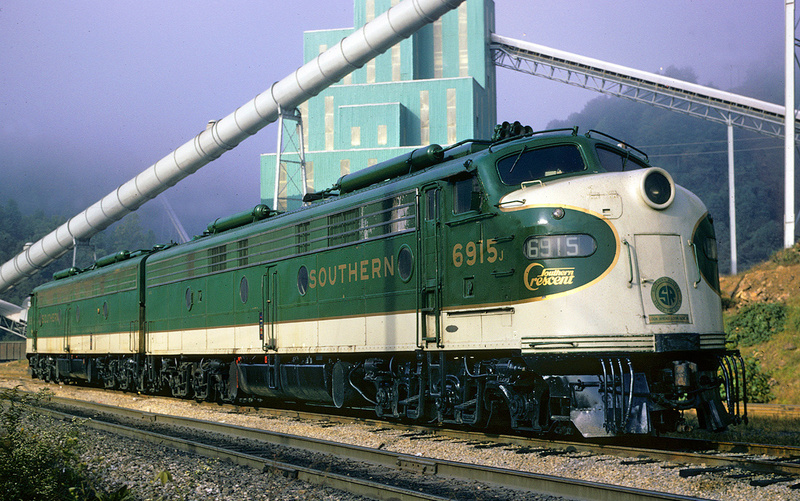 The train makes stops in the Heart of Dixie at Tuscaloosa, Birmingham, and Anniston. It also offers "Thruway Connecting Services" to Mobile and Montgomery. There is only one entity providing rail travel options in the Last Frontier, the state-owned Alaska Railroad. The ARR's regularly scheduled trains, like the Denali Star, Coastal Classic, Glacier Discovery, and Hurricane Turn provide regular service between Seward and Fairbanks, via Anchorage. 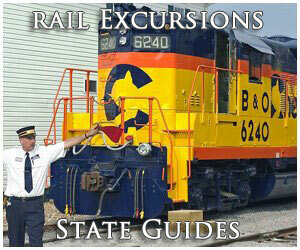 For complete information please visit the railroad's website. Arizona is served by Amtrak's Southwest Chief which makes stops at Winslow, Flagstaff, Williams Junction, and Kingman. The Sunset Limited, running the state's southern periphery, serves Yuma, Maricopa, Tucson, and Benson. There are also considerable "Thruway Connecting Services" offered from Flagstaff and Williams Junction connecting to the Grand Canyon, Williams, Sedona, Camp Verde, and Phoenix. Arkansas is served by one Amtrak train, the Texas Eagle. This train connects Chicago with Los Angeles running through Dallas/San Antonio before reaching the Sunset Route. It runs diagonally across the state making stops at Walnut Ridge, Little Rock, Malvern, Arkadelphia, Hope, and Texarkana. There is no bus service provided throughout Arkansas. California Zephyr: The legendary California Zephyr was made famous by the Burlington, Rio Grande, and Western Pacific which jointly operated it between Chicago and San Francisco. Initially launched in 1949 it became popular for its fine accommodations, many domes for unparalleled scenic views, and friendly service. Amtrak acquired the name in 1983 and while the CZ runs a slightly different route from the original remains one of the carrier's most popular long-distance trains. Capitol Corridor: The Capitol Corridor is a regional service providing commuter service between Auburn and San Jose via Sacramento, 168 miles. It began during December of 1991 when funding from California allowed for a second sponsored passenger train to operate in the state. Travelers also had the ability to continue southward to Stockton, Fresno, and Bakersfield via the San Joaquin. 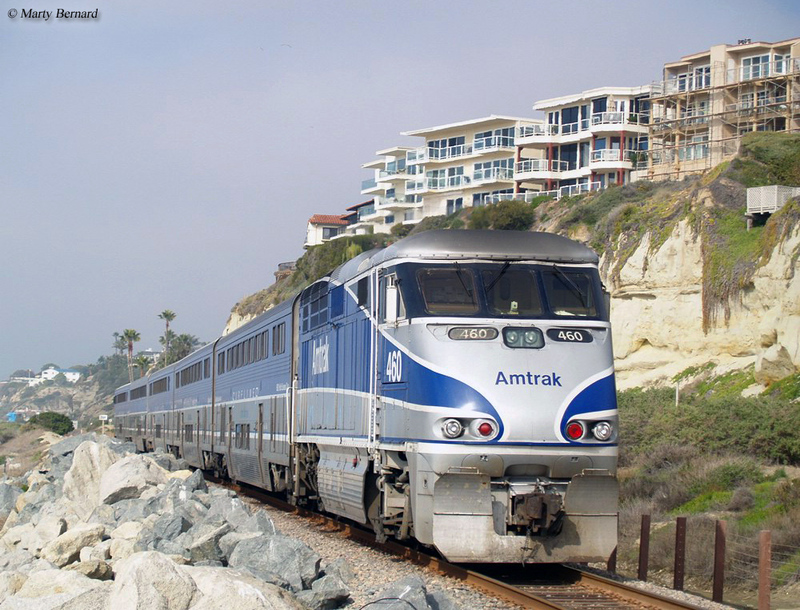 In 2000, things were further expanded with the addition of the Pacific Surfliner serving the state's southern coastal cities like Los Angeles, San Diego, and San Luis Obispo.The Corridor provides only standard coach accommodations. Coast Starlight: The Coast Starlight operates between Seattle and Los Angeles utilizing the route long served by Southern Pacific's beautiful streamliner known as the Shasta Daylight, which ran as far as San Francisco/Oakland. The Coast Starlight name first appeared in 1974 offering coach accommodations and Superliner sleeping services. Pacific Surfliner: The Pacific Surfliner first joined the timetable in 2000 providing regional, commuter service between San Luis Obispo and San Diego via Santa Barbara and Los Angeles. It is funded in conjunction with the state of California and there are multiple train trips per day on the route providing business and coach class. Additionally, bicyclists can bring their gear along. San Joaquin: The San Joaquin traces its roots back to the Southern Pacific's San Joaquin Daylight. The train began service during July of 1941 and was eventually equipped with full streamlined status running between San Francisco and Los Angeles via Bakersfield. It survived until Amtrak and was retained by the national carrier although soon truncated to only Bakersfield (a routing it still carries today) and renamed as the San Joaquin. Today, accommodations include only reserved coaches. Southwest Chief: This long-distance train heralds back to Santa Fe's legendary Super Chief running between Los Angeles and Chicago via the Southwestern region of the United States. Amtrak was forced to drop the Super Chief name in 1974 via a request by AT&SF due to declining service. At first it was known as the Southwest Limited but in 1984 changed to the Southwest Chief. The train still runs a similar routing as the original providing coach accommodations and Superliner sleeping services. Sunset Limited: This venerable train was the only of its kind for many years under Southern Pacific. It originally began service in 1894 running between Los Angeles and New Orleans via Louisiana and Texas, no other railroad offered such a routing. While the train's accommodations were always first-class it was many years before SP upgraded it as a streamliner, which finally occurred in 1950. It was retained by Amtrak and later extended to Florida's Northern Panhandle albeit after Hurricane Katrina it was again truncated to its original routing. Texas Eagle: The Texas Eagle was a top train operated by the Missouri Pacific running between St. Louis and many points throughout the Lone Star State. It first debuted in 1948 and survived, albeit with far fewer accommodations until Amtrak. The name was revived on October 2, 1981 and today it operates between Chicago and Dallas/San Antonio with connections available to Los Angeles. The train's accommodations currently includes coaches and a range of Superliner sleeper arrangements. Capitol Limited: The historic Capitol Limited was once the flagship train of the venerable Baltimore & Ohio, our country's first common-carrier system. It first entered service on May 12, 1923 between New York and Chicago via D.C. (later truncated to Washington/Baltimore). It was retained by Amtrak on May 1, 1971 and today operates between Washington and Chicago via Pittsburgh and Cleveland. Cardinal/Hoosier State: The history of this train primarily traces back to the Chesapeake & Ohio's George Washington which began service in 1932 between Washington, D.C. with Cincinnati, Ohio. It also follows the former routing of the New York Central's James Whitcomb Riley between Cincinnati and Chicago. When Amtrak began both trains were kept at first but later dropped. In 1977 it launched the Cardinal between Washington and Chicago. Today, the train reaches New York but is not heavily patronized. The Hoosier State complements the Cardinal as a regional running the 196 miles between Indianapolis and Chicago only. City Of New Orleans: This train gained acclaim with the release of Steve Goodman's song by the same name in 1970. However, its history as a popular, long-distance service operated by the Illinois Central between Chicago and New Orleans heralds back to its inauguration on April 27, 1947. It was retained by Amtrak and today runs much of the same route providing coach service and Superliner accommodations. Empire Builder: Just as in the days prior to Amtrak this train remains very popular operating between Chicago and Seattle. The train was originally inaugurated in 1929 and was acclaimed for the scenic views it provided throughout the Pacific Northwest and across the Rocky Mountains. It was streamlined during the 1940s and retained by Amtrak, today running via the Twin Cities and Spokane with a schedule of roughly two days to complete the entire trip. Hiawatha Service: This regional service provides connections between the Twin Cities and Chicago making several departures daily on the 1 hour and 30-minute trip. The name heralds back to the Milwaukee Road's famous fleet of streamliners by the same name, the first of which served the same corridor. Illinois Service: This services covers five different regional trains Amtrak operates in the Prairie State that includes the Illinois Zephyr (Chicago-Quincy), Carl Sandburg (Chicago-Quincy), Lincoln Service (Chicago-St. Louis), Illini (Chicago to Carbondale), and finally the Saluki (Chicago to Carbondale). All trains provide coach and business class accommodations while they also carry bicycles on-board. Lake Shore Limited: This historic train dates back to May 30, 1897 when the NYC first put it into service, the railroad's first full-service passenger train between Chicago and New York. It remained in service until 1956 when it was canceled due to cutbacks and declining ridership. Amtrak revived the name in 1975. Today, it operates between Chicago and New York/Boston offering coach and Viewliner accommodations. Michigan Services: Amtrak uses the brand name Michigan Services to describe a series of regional trains which connect Chicago with several cities in Michigan. These trains include the Wolverine, Pere Marquette, and Blue Water and have were put into service after Amtrak began between the mid-1970s and 1980s. All three are historically significant and either were actually operated by a fallen flag railroad or its regional route is still in use (such as in the case of the Grand Trunk Western). Today, the trains make multiple departures daily providing coach and business class accommodations. Missouri River Runner: This regional train has been operated by Amtrak since January of 2009 serving St. Louis and Kansas City. However, the carrier has served the corridor since 1976 using such former names as the Ann Rutledge, Kansas City Mule, and St. Louis Mule which date back to the Baltimore & Ohio and Gulf, Mobile & Ohio years. Today, the trains provide business and coach accommodations while offering bicycles to travel on-board. Acela Express: Amtrak's fastest service operates at speeds as high as 150 mph in some locations while traveling between Washington, D.C. and Boston via New York and Philadelphia along the old Pennsylvania's Northeast Corridor while traveling the former New Haven east of New York. The train has been in service since December 11, 2000 offering business and first-class accommodations. Adirondack: The Adirondack has been on Amtrak's timetable since August 5, 1974 operating between New York City and Montreal, Quebec via Albany and eastern New York. The train offers coach service only, travels 381 miles, and requires 10-11 hours one-way. Auto Train: The famous Auto Train began as a private corporation by Eugene Garfield to test the concept of running a passenger service offering passengers the ability to transport their vehicle(s) en route along the East Coast. It began operations on December 6, 1971 but was never particularly successful and stopped running after September of 1977. However, Amtrak revived the service on October 30, 1983 and it still runs today between Lorton, Virginia (Washington, D.C.) and Sanford, Florida. Carolinian/Piedmont: These trains are joint operations between Amtrak and the state of North Carolina. The Carolinian is a long-distance, intercity service running between Charlotte and New York that began service in 1984 while the Piedmont is a regional train running between Charlotte and Raleigh only that initiated service in 1995. Both trains have steadily grown in popularity over the years as the Tarheel State looks to continue growing its passenger rail services. Crescent: The Crescent heralds back to the days of the Southern Railway, which operated a luxurious train by the same name between New York and New Orleans that began service in 1925 as the Crescent Limited. Amtrak acquired the train in 1979 and continues to operate it over much of the same routing as before albeit with fewer of the fine amenities as those provided by the Southern. Downeaster: The Downeaster traces its roots back to a train by the same name operated by the Maine Central between New York and Waterville/Rockland, Maine (the MEC spelled its version slightly differently as the Down Easter). That classic New England railroad ended all passenger operations in 1960 although Amtrak re-inaugurated the train in 2001, providing regional service between Brunswick and Boston. Empire Service: The Empire Service connects the heart of New York utilizing the former New York Central between the Big Apple and Buffalo/Niagara Falls, a distance of 460 miles. It has been operated since the day Amtrak began and sees strong ridership on an annual basis. The train provides multiple departures daily providing coach and business class accommodations. 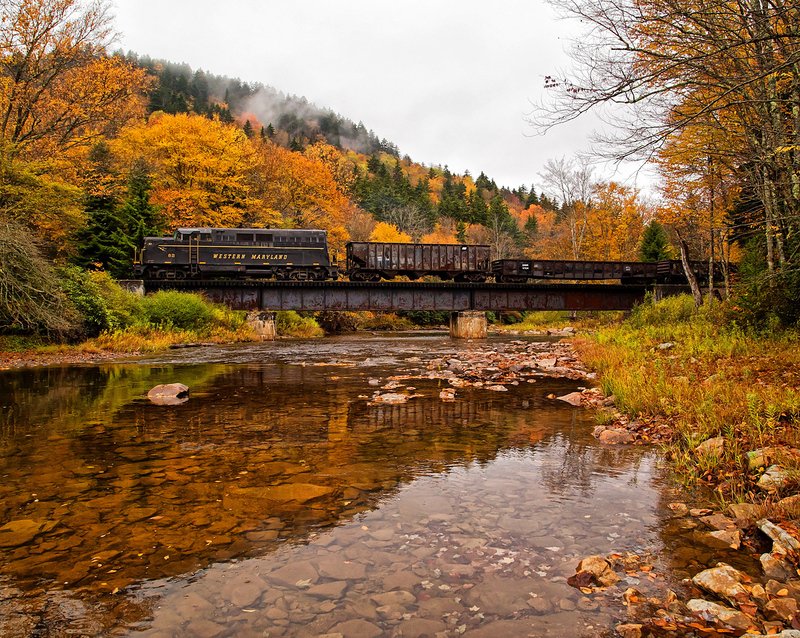 Ethan Allen Express: This train certainly exudes a New England appeal operating between Rutland, Vermont and New York City a distance of 241 miles. It first began service during December of 1996 but its routing loosely follows that of the Rutland Railroad's old Green Mountain Flyer and Mount Royal, which both served the same cities. The train carries reserved coaches and offers business class accommodations. Keystone Service: The Keystone or Keystone Service plies the former PRR between Harrisburg, Pennsylvania and New York via Philadelphia along a route that is fully electrified (195 miles). There are multiple trips made daily and only reserved seat coach accommodations is offered. Maple Leaf: The Maple Leaf has been in service since April of 1981 operating 544 miles between New York and Toronto via Albany and Buffalo in conjunction with Canada's VIA Rail. The train provides coach and business class accommodations. 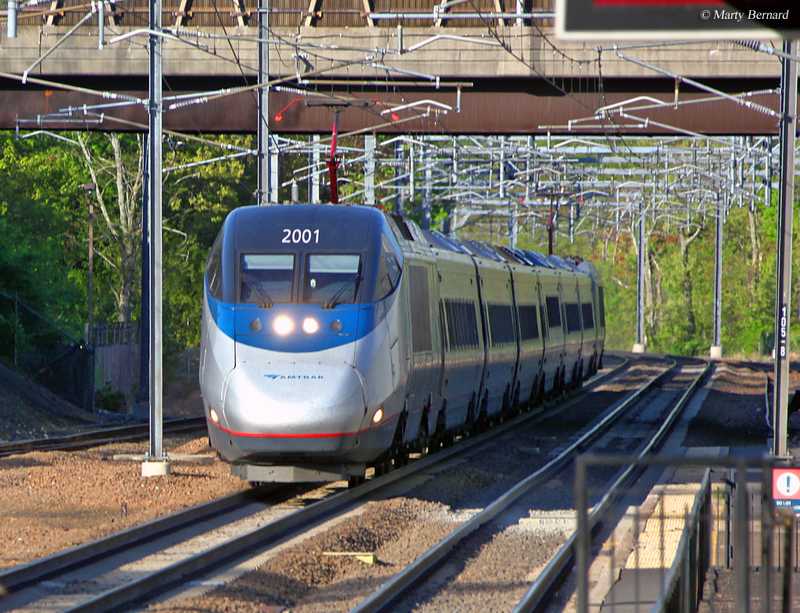 Northeast Regional: The Northeast Regional is an expansive commuter-type service Amtrak offers along the Northeast Corridor connecting all of the major cities between Richmond/Newport News, Virginia and Boston. The trains run multiple times daily (please check Amtrak's website for complete details) and offer coach and business class accommodations. Pennsylvanian: Running the route of the PRR's posh Pittsburgher (among others) between Pittsburgh and New York, the Pennsylvanian provides far fewer services than that opulent train. Amtrak has served the market since it began operations in 1971 but via different names over the years. The Pennsylvanian was born on April 27, 1980 and currently runs daily providing coach and business class accommodations. Silver Service/Palmetto: These services actually comprise three trains, all of which have historical connections as Southern's Palmetto and Seaboard Air Line's Silver Star and Silver Meteor. Today, all connect the Northeast with points in Florida and provide coach service, business class, and Viewliner (sleeper) accommodations. Vermonter: The Vermonter has been on Amtrak's timetable since April 1, 1995 when it replaced the Montrealer. The history of the train's route between Montreal and Washington, D.C. was once operated by the Montrealer/Washingtonian, a longtime joint service between the PRR, Boston & Maine, New Haven, Central Vermont, and Canadian National. Today, the Vermonter runs only between St. Albans, Vermont and Washington providing coach and business class accommodations. Amtrak Cascades: This regional service first began in 1998 as the Cascades although for nearly 20 years prior there had been some type of subsidized service in the region (albeit not as expansive). Today, the service, funded by Amtrak and Oregon/Washington reaches Eugene and Vancouver, British Columbia via Seattle/Tacoma. The trains make multiple departures daily providing business and coach classes while also carrying bicycles aboard. Heartland Flyer: This regional train serves Amtrak's 206-mile regional market between Fort Worth, Texas and Oklahoma City, Oklahoma. It began service on June 14, 1999 and makes a daily round-trip. The train provides only reserved-seat coach accommodations. Colorado is served by two Amtrak services, the California Zephyr stops at Fort Morgan, Denver (Union Station), Fraser/Winter Park, Granby, Glenwood Springs, and Grand Junction. In addition, the Southwest Chief clips the southeast corner with stops at Lamar, La Junta, and Trinidad. Finally, there are numerous "Thruway Connecting Services" reaching Pueblo and Colorado Springs (via Denver and Raton, New Mexico), Alamosa, Gunnison, Poncha Springs, Salida, Buena Vista, Fairplay, Friso, Vail, Pine Junction, Fort Collins, and Greeley. Connecticut provides considerable and extensive expansive passenger/commuter rail services. Amtrak's long distance services here include the Northeast Regional (stops at Berlin, Mystic, New London, Old Saybrook, Windsor Locks, Windsor, Hartford, Meriden, Wallingford, New Haven, Bridgeport, and Stamford) and the Vermonter (stops at Windsor Locks, Hartford, Meriden, New Haven, Bridgeport, and Stamford). There are also state-sponsored services provided through the Metro-North Railroad and Shore Line East. Despite Delaware's, Amtrak's busy Northeast Corridor passes through its northern tip. Amtrak's high-speed Acela Express stops along with the Cardinal, Carolinian/Piedmont, Crescent, Silver Service/Palmetto, and the Vermonter. Finally, the "Northeast Regional" service makes calls at Wilmington, Newark, and Aberdeen. Amtrak's current services in the Sunshine State include the unique Auto Train (allowing passengers to haul their own vehicles from Lorton, Virginia to Sanford, Florida) which stops only at Sanford; Silver Service with stops at Jacksonville, Palatka, DeLand, Winter Park, Orlando, Kissimmee, Tampa, Lakeland, Winter Haven, Sebring, Okeechobee, West Palm Beach, Delray Beach, Deerfield Beach, Fort Lauderdale, Hollywood, and Miami. Other notable rail services provided across the state include Tri-Rail, Sunrail, and the new Brightline. Amtrak provides two through services within the Peach State, the Crescent (with stops at Toccoa, Gainesville, and Atlanta), which runs through the northwestern corner, and Silver Service (stops at Savannah and Jesup) that hugs the eastern coastline. Aside from a local rapid transit system to serve Honolulu, Hawaii does not contain any public rail services. The state of Idaho is served only by Amtrak's transcontinental Empire Builder, which makes a single stop in Sandpoint. However, the carrier also provides considerable "Thruway Connecting Services": linking Salt Lake City with points in Oregon and Washington these connectors make stops in Twin Falls, Boise, Nampa, Ontario, McCall, Lewiston, and Moscow. With Chicago as the country's epicenter of railroading, it's not surprising Amtrak provides multiple services through the state of Illinois, reaching destinations far and wide. There are also considerable commuter services provided through the Northern Indiana Commuter Transportation District/NICTD and Chicago Transit Authority. As the eastern neighbor of Illinois and near Chicago, Amtrak maintains several intercity services through Indiana. These included the Capitol Limited (stopping at Waterloo, Elkhart, and South Bend), Cardinal/Hoosier State (stopping at Connersville, Indianapolis, Crawfordsville, Lafayette, Rensselaer, and Dyer); Lake Shore Limited (serving South Bend, Waterloo, and Elkhart); and the "Michigan Services" (Blue Water, Pere Marquette, and Wolverine) which stop and Hammond and Michigan City. Iowa is served by Amtrak's California Zephyr, running the state's southern boundary (stopping at Burlington, Mt. Pleasant, Ottumwa, Osceola, and Creston), as well as the Southwest Chief which clips its southeastern corner at Fort Madison. Finally, Amtrak's "Thruway Connecting Services" reaches Davenport via Galesburg, Illinois. Kansas is served by only Amtrak's Southwest Chief, the carrier's transcontinental service linking Chicago with Los Angeles. It makes stops at Lawrence, Topeka, Newton, Hutchinson, Dodge City, and Garden City. The railroad also offers "Thruway Connecting Services" from Oklahoma City to Newton with an additional stop at Wichita. Kentucky is home to two Amtrak services, the north/south City of New Orleans and the Cardinal/Hoosier State. The former stops at only Fulton on its way to either Chicago or New Orleans while the latter calls at Ashland, South Portsmouth, and Maysville. There are also "Thruway Connecting Services" reaching Nashville via Louisville and Paducah/Madisonville. Running south from Chicago is Amtrak's City of New Orleans, which stops in Louisiana at Hammond and New Orleans Union Passenger Terminal. In addition, the fabled Sunset Limited running east from California makes stops at Schriever, New Iberia, Lafayette, and Lake Charles before arriving in New Orleans. There are also "Thruway Connecting Services" linking New Orleans with Baton Rouge as well as from Jackson, Mississippi to Dallas, Texas via Shreveport. Maine is served only by Amtrak's Downeaster, which runs as far north as Brunswick with additional stops at Portland, Freeport, Old Orchard Beach, Saco, and Wells. There is also "Thruway Connecting Services" to Orono, Bangor, and Augusta which run as far south as Boston. Thanks to the city of Baltimore, its close proximity to Washington, D.C., and home to the Northeast Corridor, Amtrak provides considerable services throughout Maryland. These include the Acela Express, "Northeast Regional" trains, Capitol Limited, Carolinian/Piedmont, Silver Service, and the Vermonter. The state also has extensive commuter coverage through MARC Train (a 187-mile system linking Washington and Baltimore with outlying communities at Perryville/Frederick, Maryland and Martinsburg, West Virginia) and the Virginia Railway Express. The state of Massachusetts has extensive rail service coverage provided by both Amtrak and the Massachusetts Bay Transportation Authority (MBTA), covering the greater Boston region. The former's through trains include the Downeaster (stations at Haverhill and Woburn), Lake Shore Limited (Pittsfield, Springfield, Worcester, Framingham, and Boston), and the Vermonter (Greenfield, Northampton, Holyoke, and Springfield). It also has "Thruway Connecting Services" linking Boston with parts of New Hampshire and Maine. Amtrak's collective "Michigan Services" consisting of the the Blue Water, Pere Marquette, and Wolverine provide the entirety of rail service within the Wolverine State. In addition, there is considerable "Thruway Connecting Services" blanketing the Lower Peninsula and also serving parts of the Upper Peninsula. To learn more about all of these please visit the carrier's website. The state of Minnesota is served by only Amtrak's Empire Builder, running diagonally across the state over the BNSF Railway between Fargo, North Dakota and La Crosse, Wisconsin via the Twin Cities. The carrier also provides its bus services between La Crosse and Duluth, linking Rochester and St. Paul/Minneapolis along the way. Operating over the former Illinois Central (currently owned by Canadian National), Amtrak's City of New Orleans provides north-to-south, intercity service in Mississippi on its way to either New Orleans or Chicago. The carrier also runs the Crescent between Meridian and Picayune which links New Orleans with Atlanta, Greensboro, and Washington, D.C. The Show Me State enjoys extensive Amtrak coverage thanks to its proximity between St. Louis and Kansas City as well a gateway to the west and southwest. Three trains serve Missouri including the Missouri River Runner (St. Louis - Kansas City), Southwest Chief (Chicago - Los Angeles), and Texas Eagle (Chicago - Dallas/San Antonio - Los Angeles). Interestingly, however, no "Thruway Connecting Services" are provided, except to St. Louis. For all of Montana's breathtaking scenery its sparse population means rail service is limited. However, Amtrak's popular Empire Builder runs the northern region of Big Sky Country, and passes through beautiful Glacier National Park. Bus connections are not offered in Montana. Nebraska is another state with only a single Amtrak service. In this case it is the popular and scenic California Zephyr, linking Chicago and San Francisco by way of Denver, the Rocky Mountains, and Salt Lake City. There are no "Thruway Connecting Services" available in the Cornhusker State. The state of Nevada is also served by only Amtrak's California Zephyr, operating the former Southern Pacific between Salt Lake City and San Francisco. 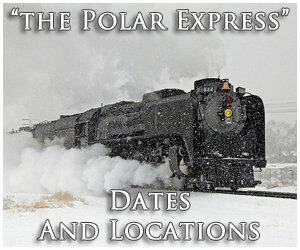 You can also catch the seasonal Reno Fun Train between February and March each year that whisks passengers to Reno, Nevada. 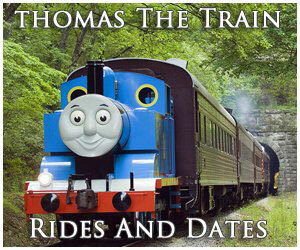 This trains also feature special themes, such as Mardi Gras, country westerns, and murder mysteries. Finally, "Thruway Connecting Services" reach as far as Sparks and also stops at Las Vegas on its way to Southern California, Arizona, and Utah. The Granite State enjoys two Amtrak services, the Downeaster, connecting Boston with Brunswick, Maine, as well as the Vermonter which runs the spine of Vermont and New Hampshire. Generally, however, "Thruway Connecting Services" provide the bulk of the state's services, where buses connecting Boston with Berlin and Littleton. Located within the heart of Amtrak's Northeast Corridor and close proximity to numerous large urban centers such as Philadelphia and New York, New Jersey enjoys extensive rail service coverage. Amtrak's most notable trains include the Acela Express, "Northeast Regional," Cardinal, Crescent, Keystone, Palmetto/Silver Service, Pennsylvanian, and the Vermonter. There is also the state-owned NJ Transit that provides considerable commuter services as well as the Southeastern Pennsylvania Transportation Authority (SEPTA), blanketing the great Phildaelphia region and Port Authority Trans-Hudson (PATH), a joint New York/New Jersey rapid transit operation. The Land of Enchantment is served by two long-distance Amtrak services, the Southwest Chief linking Raton with Gallup on its way to Chicago and Los Angeles over the former Atchison, Topeka & Santa Fe's main line. In addition, the Sunset Limited still runs the Southern Pacific's Sunset Route near the Mexican border. Finally, "Thruway Connecting Services" connect El Paso with Albuquerque. The Empire State offers significant Amtrak services, both long-distance and commuter in nature reaching such points as Buffalo, Montreal (Quebec), Albany, and numerous other points across New England and the Midwest. It also offers bus stops at Dunkirk, Jamestown, and Lake Placid. New York also provides extensive local passenger rail services through the Long Island Railroad, Metro-North Railroad, Metropolitan Transportation Authority (MTA), and PATH (Port Authority Trans-Hudson). To learn more about all of these service please visit their respective websites. No other state in the Southeast offers such expansive passenger rail services like the state of North Carolina. Amtrak's Carolinian/Piedmont (New York - Charlotte), Crescent (New York - New Orleans), and Palmetto/Silver Service trains (New York - Raleigh - Florida points) all make stops within the Tarheel State's major cities like Raleigh, Winston-Salem, and Greensboro. There are also long-term plans to link Wilmington with Asheville. Finally, "Thruway Connecting Services" current connect the coast at Wilmington and Morehead City. You can learn more about their website, NCByTrain.org. The Peace Garden State is served by only Amtrak's Empire Builder which operates over the former Great Northern Railway's main line. Ohio enjoys three intercity trains passing through its borders including the Capitol Limited, Lake Shore Limited, and Cardinal/Hoosier State running the Kentucky border to Cincinnati. While all of these miss the heart of the Buckeye State, Amtrak does offer "Thruway Connecting Services" with Pittsburgh and Indianapolis via Columbus as well as between Cincinnati and Toledo. Oklahoma has only one regional train serving its borders, the Heartland Flyer which connects Oklahoma City with Fort Worth, Texas. 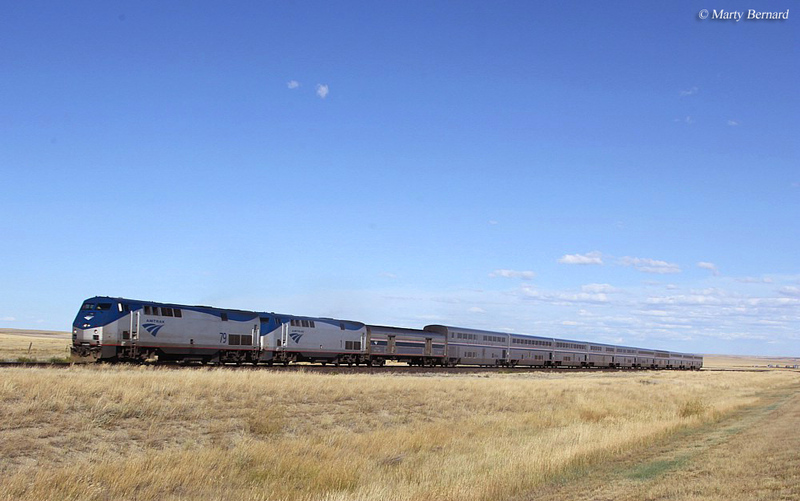 Despite this dead-end service, Amtrak also provides "Thruway Connecting Services" from Oklahoma City to Newton, Kansas where one can catch the Southwest Chief. Thanks to its location between busy California and the Puget Sound region of Washington State, Oregon is home to both regional and long distance Amtrak services. These include the the Coast Starlight (Seattle - Los Angeles) and the Amtrak Cascades (Vancouver, British Columbia - Seattle - Eugene). The state-owned Westside Express Service is a commuter operation linking Beaverton and Wilsonville in the Portland metropolitan area. Finally, Amtrak offers extensive bus services throughout the state. The Keystone State boasts more than a dozen Amtrak services, which are both long distance and local/commuter in nature due to the Northeast Corridor. Interestingly, bus services carry a relatively minor presence, linking Pittsburgh with parts of Ohio as well as a stub-end service between Philadelphia and Scranton. Finally, the Southeastern Pennsylvania Transportation Authority (SEPTA) provides extensive commuter and light-rail service within the greater Philadelphia region. Despite its size, Rhode Island's location along Amtrak's Northeast Corridor and within the hear of New England means it is provided extensive rail service coverage including the Acela Express and "Northeast Regional." South Carolina boasts three Amtrak routes for those either seeking trips to New Orleans or the tropical climates of Florida. These include the Silver Service and Palmetto (New York - Florida points) as well as the Crescent (New York - New Orleans). At this time South Dakota is the only state within the lower 48 served by neither an Amtrak intercity train or connecting bus service. In spite of Tennessee's large population, many cities, and popular tourist attractions, it is served only by the City of New Orleans along the western border. Amtrak does provided bus service to Nashville and the state-owned Music City Star serves the Music City area via a 32-mile system with 6 stations. The heart of Texas boasts expansive Amtrak service including the Heartland Flyer (Okahoma City - Fort Worth), Sunset Limited (Los Angeles - New Orleans), and Texas Eagle (Chicago - Los Angeles). Amtrak also provides bus service between Dallas/Fort Worth and Houston. Unfortunately, central and northwestern parts of the Lone Star State are devoid of any Amtrak services. Texas also hosts three notable commuter/heavy rail systems; the A-Train serving Denton County via 6 station stops, Trinity Railway Express serving Dallas/Fort Worth, and Capital MetroRail serving the Austin area. The state of Utah is served only by the California Zephyr reaching Salt Lake City over the former Rio Grande and Southern Pacific main lines on its way to Chicago and San Francisco. The state's largest cities is also linked by three "Thruway Connecting Services," bus connections which radiate out into Wyoming, Idaho, and Southern California. Finally, the 88-mile FrontRunner is a heavy commuter rail system serving Salt Lake City, Provo, and Ogden. The state of Vermont is served largely by the aptly named Vermonter, which reaches as far as St. Albans and operates as far south as Washington, D.C. The Ethan Allen Express also provides limited coverage, branching to Rutland and connecting New York City via Albany and Saratoga Springs. East of Blacksburg/Danville, the state of Virginia boasts fairly substantial Amtrak services including the Carolinian/Piedmont (New York - Charlotte), Crescent (Washington, D.C. - New Orleans), Palmetto/Silver Service, Cardinal (New York - Chicago), "Northeast Regional" extending as far south as Newport News, and the Auto Train linking Lorton with Sanford, Florida. There is also bus service running as far west as Blacksburg (via Lynchburg) and between Charlottesville and Richmond. In addition, bus service runs the Crescent line between D.C. and Charlottesville. Finally, the state-sponsored Virginia Railway Express provides commuter service between Washington Union Station and Spotsylvania/Broad Run. Washington State enjoys extensive Amtrak services linking the Puget Sound (Seattle/Tacoma) with both Spokane and Portland, Oregon. These include the regional Cascades (Vancouver, British, Columbia - Eugene, Oregon), Coast Starlight (Seattle - Los Angeles), and the Empire Builder (Seattle - Chicago). Amtrak's bus services also densely cover Washington. Finally, the state-sponsored "Sounder Commuter Rail" system provides commuter service between Seattle, Everett, and Lakewood via an 82-mile system serving 12 stations. West Virginia's only intercity rail service is Amtrak's tri-weekly linking New York with Chicago. Folks living in the state's Eastern Panhandle have the additional option of taking Maryland's Maryland's 187-mile MARC Train commuter service from Martinsburg to the Washington, D.C./Baltimore metropolitan region. While Wisconsin is served only by Amtrak's long-distance Empire Builder it also enjoys regional service through the Hiawatha linking Chicago and Milwaukee with the Twin Cities. The carrier also provides extensive "Thruway Connecting Services" all across the state, as well as into Michigan's Upper Peninsula as far as Houghton/Hancock (two towns once served by the Milwaukee Road's Copper Country Limited). Wyoming has no Amtrak services within its border although the railroad's "Thruway Connecting Services" are quite extensive, running as far north as Buffalo (via Cheyenne) and between Cheyenne, Denver, and Salt Lake City.